Fuji has a long and strong track record when it comes to medium format rangefinders, beginning with the G690 (6×9) in 1967, followed by the GL690 and GM670 models in the early seventies. These early models had exchangeable lenses. 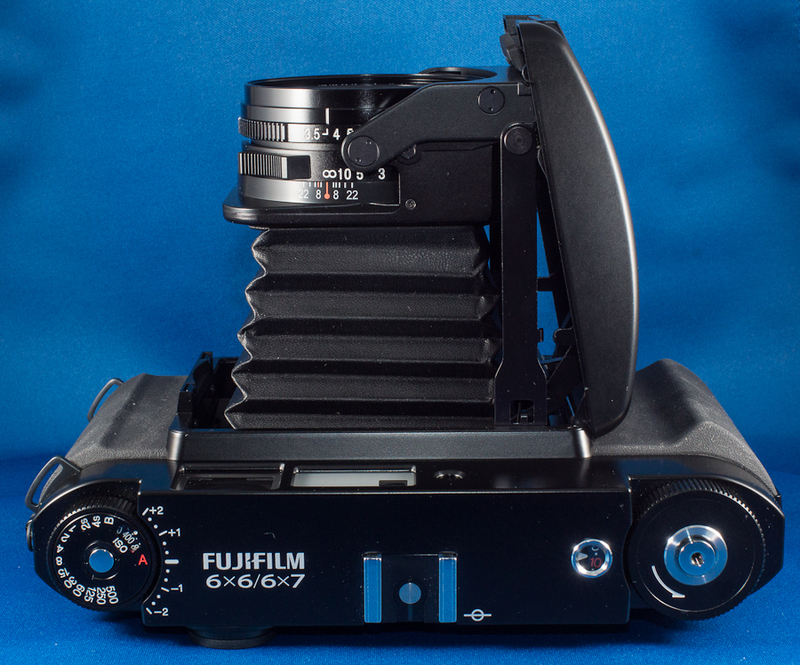 In the mid-seventies Fuji switched to fixed lenses and released the first of the GW series (6×9, 6×8 and 6×7) with several versions to follow. Since they were fixed lenses each version had at least a standard lens model and a wide angle model. 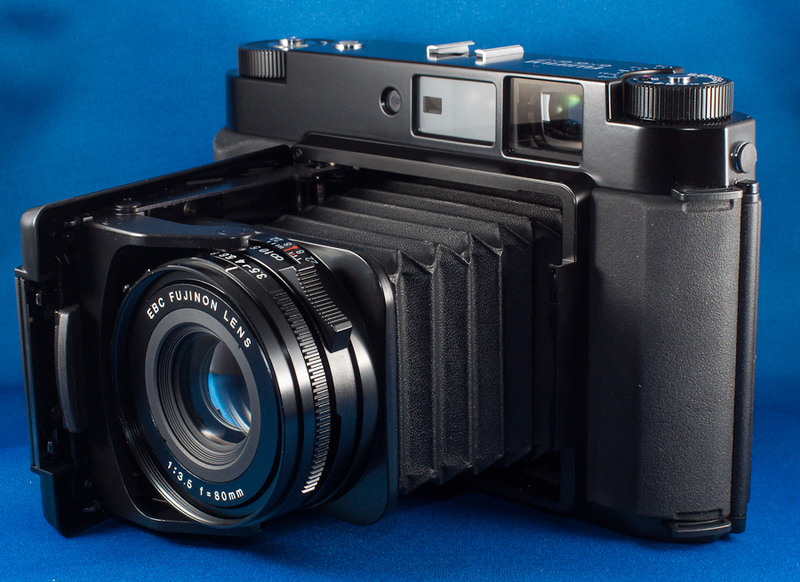 Finally Fuji ventured into the increasingly popular 645 market (6×4.5) in the early eighties with the GS and later the auto focus GA series. 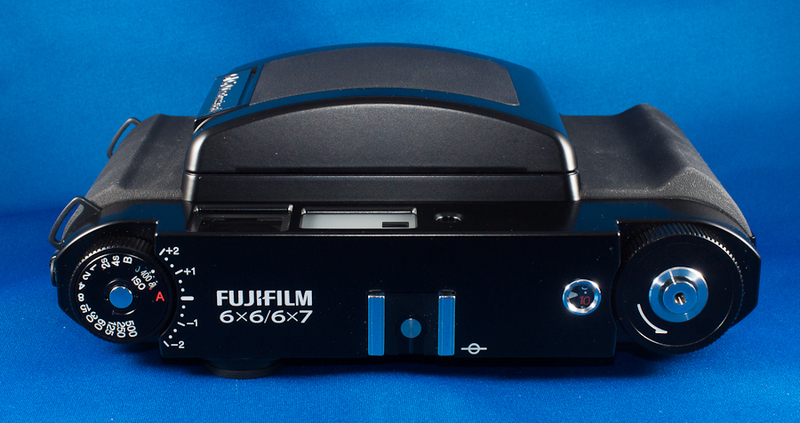 The final 645 models were released in 1998 but the last time Fuji gave us anything larger was in 1992 with the final version of the GW and GSW series in 6×9 and 6×7 sizes. 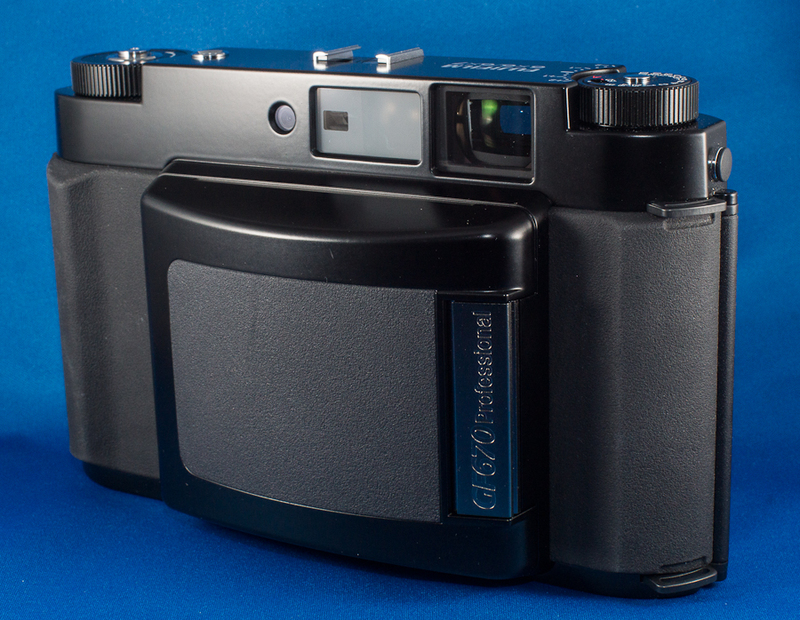 So imagine everyone’s surprise when Fujifilm released the GF670 in 2009, seventeen years after their previous 6×7 model. 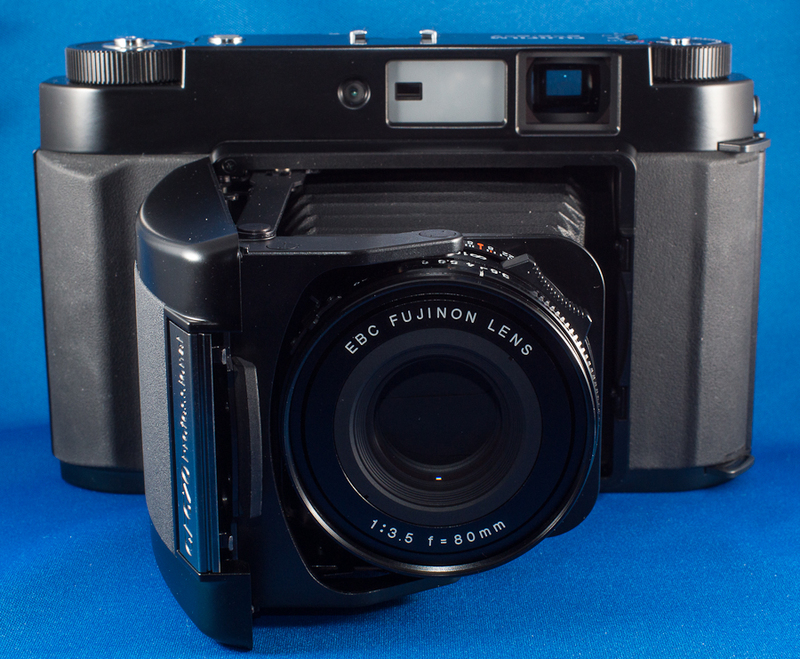 Given all the changes that took place in the camera market and technology during those years, the release of this model by Fuji was either admirably gutsy or nostalgically foolish. 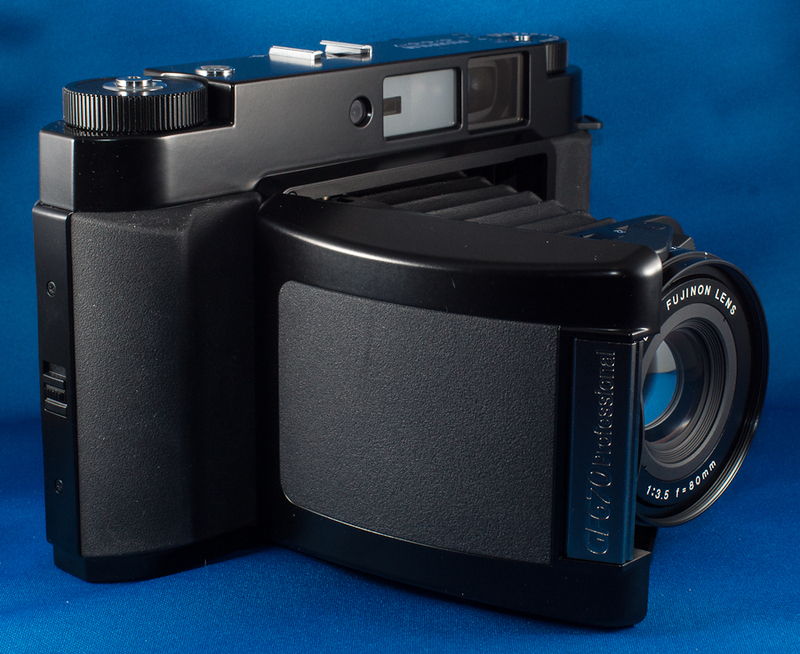 Sales figures seem to suggest that it wasn’t the latter and in 2011 they released the second model, the GF670W which sports a 55mm wide angle lens as if to solidify their commitment to medium format film photography. Fuji is one of the few remaining manufacturers of medium format film so I guess it makes sense that they also provide the cameras to use their film. On the other hand some people are concerned about the lack of any serious market competition, especially with the apparent demise of Kodak. Two things set the GF670 apart. First, it’s a folder. Since 1967 Fuji has marketed more than twenty medium format rangefinder cameras and if I’m not mistaken this is only the second time in the modern era that they’ve given us a folder. The first was the GS645. 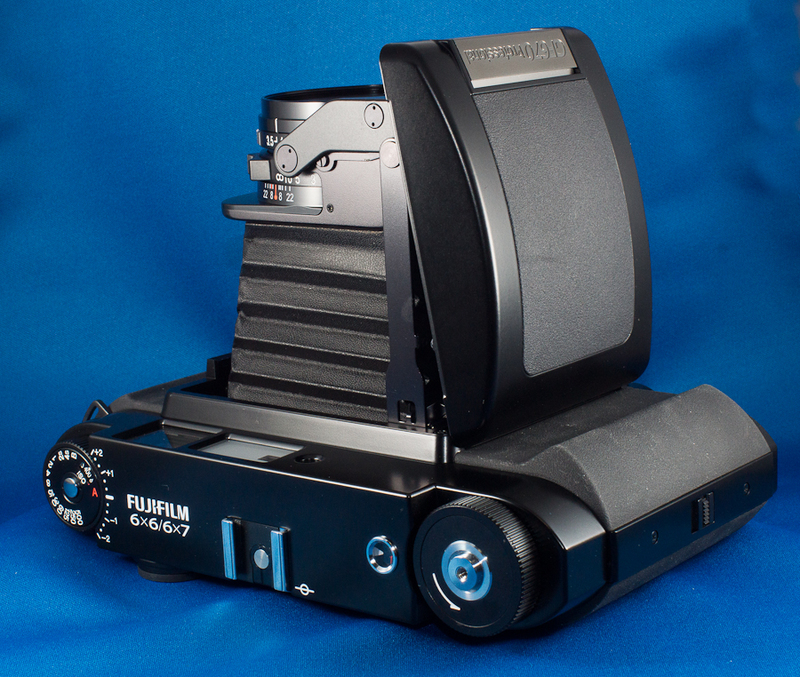 The only other folder was this company’s inaugural camera, the Fujica 6 which was first released in 1948. Of course being a folder doesn’t inherently make a camera better. In fact, there are distinct advantages and disadvantages to having retractable lenses in a clam shell design with exposed bellows. The disadvantages include a complex linkage system and easily damaged bellows. But on the positive side folders are amazingly compact when closed up, and while this is purely subjective, I find them extremely attractive. There is a distinct “retro/cool” factor with any folder and the GF670 is no exception. The second thing that makes the GF670 unique is that it’s multi-format. Once again, I may be wrong but to the best of my knowledge this is a first for Fuji rangefinders. With this camera you can select either 6×7 or 6×6. The selector is inside the body so you can’t change it mid-roll. 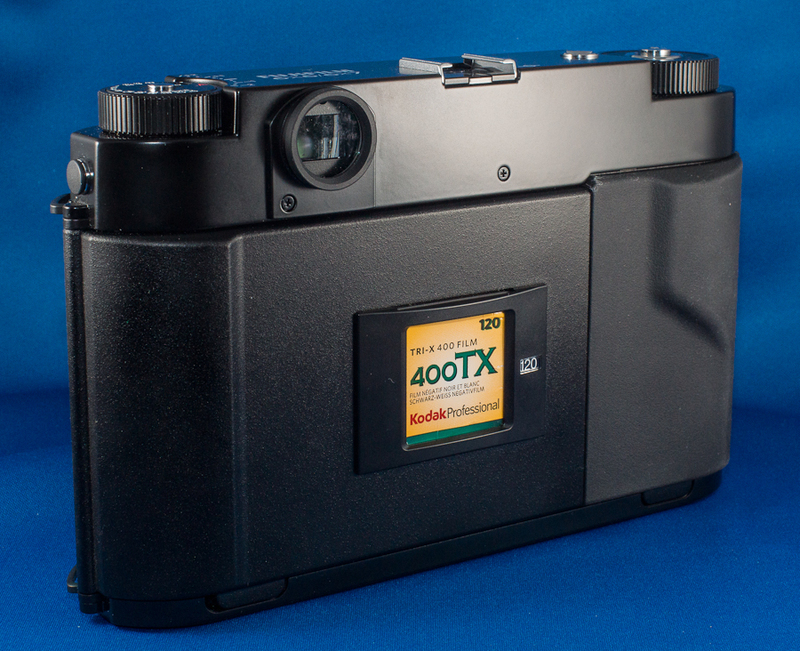 But unlike some other multi-format rangefinders, the frame count per roll changes according to the frame size selected. So you get 10 frames (20 with 220 film) when shooting 6×7 and 12 frames (24 with 220 film) when shooting 6×6. The GF670 can be used in metered manual mode or in A mode. The EBC Fujinon 80mm f/3.5 lens is housed in a shutter that goes from 1/500s down to 4s and Bulb mode. EV comp is available from +2 to -2 in 1/3 stop increments. One tiny surprise with this camera is the film advance mechanism which uses a large thumb dial rather than the far more common lever. The control layout is very simple and straight forward. A dial on the top left handles shutter speed, EV comp and ISO. Focus and aperture controls are on the lens. Shutter release and film advance are on the top right dial. That’s it! The one control I wish they had included is a self timer. It’s a surprising omission since the GS645 folder has one. 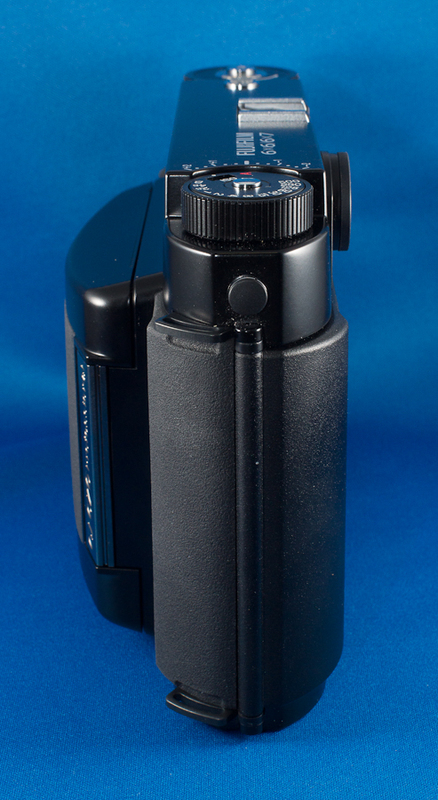 The viewfinder is very bright and makes focusing quite easy. The bright lines switch from 6×7 to 6×6 automatically and provide parallax compensation. An electronic display in the viewfinder indicates shutter speed and A mode when selected. In manual mode it displays the selected shutter speed and the recommended shutter speed. Unlike all the other cameras on this site the GF670 is a current model, and that means it’s expensive. I held off for a very long time but finally sold three other cameras (Mamiya RB67 Pro SD, Fujifilm Klasse, and Voigtlander Bessa-R) and combined the proceeds with a bit of birthday money to celebrate my 50th birthday in style by getting the GS645 and this camera, the GF670! Here are some photos I’ve taken with this camera. I’ve found the following reviews/articles about this camera to pretty informative and entertaining. Bad news for GF670 owners (I have that AND the GF670W).